An estimated 40 percent of the food produced in the United States is wasted every year, totaling about 62.5 million tons. That costs households, businesses and farms about $218 billion annually. Also wasted were the resources that went into producing that food, including 25 percent of all freshwater consumed, 13 percent of the total carbon emissions and 80 million acres of farmland used in the United States. Uneaten food is the single largest source of trash in municipal landfills, attracting wildlife with an unnatural and often toxic food source. Landfills are the third largest source of the greenhouse gas methane produced in the country. In addition to contributing to climate change, pollution and land degradation, wasting food wastes natural resources that native and endangered wildlife need to survive. Although meat is a smaller portion of wasted food it comes with the highest environmental cost. Meat production is the single-most environmentally damaging industry on the planet, which means that wasted meat and dairy products have a greater environmental impact per pound than wasted grains or fruits and vegetables. It’s not just the end product that’s thrown away, but also all the feed, water, land, pesticides and fossil fuels that went into raising the livestock. Food waste worsens the unsustainability of industrial food production, which imperils wildlife and puts food security at risk. And it’s a growing problem: The amount of food wasted in the United States has tripled over the past 50 years. It is only by preventing food waste from the start that we can begin to address the environmental footprint and inequalities of our food system. In the United States, people spend more than $650 billion at supermarkets annually. That spending gives the sector enormous influence on personal budgets and the economy, as well as on the food system. The most effective way to maximize the social, economic and environmental benefits of addressing food waste is to prevent the waste to begin with. While donation and recycling programs have some advantages over sending food directly to the landfill, they don’t address the emissions, land, water, pesticides and other threats to wildlife that result from producing uneaten food. 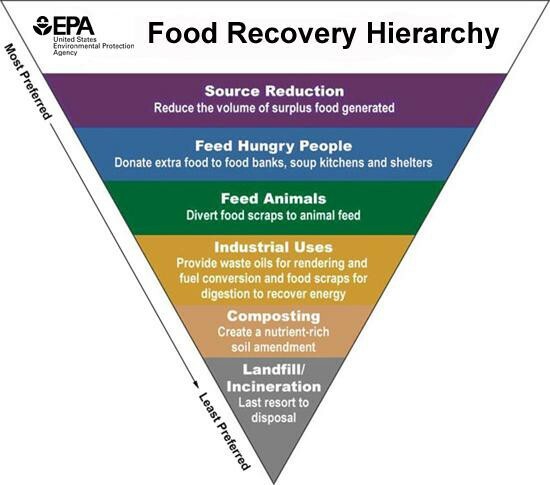 Preventing food waste holds two to seven times the lifecycle greenhouse gas benefit per ton compared to recycling food. At the grocery retail level, policies from supply-chain commitments to shopper education can aid in food-waste prevention. 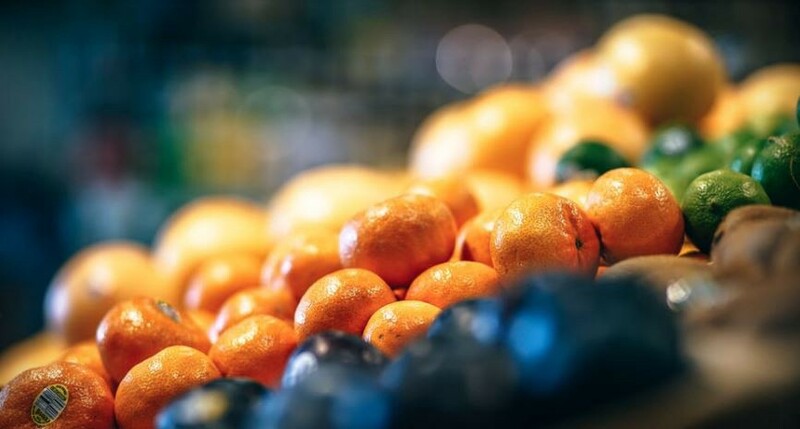 But to fully understand the scope of the problem and effectively implement food-waste reduction strategies, retailers must track how much food is being wasted throughout their operations. Without transparent tracking and reporting of the amount of food waste across their companies, there is no starting point from which to measure the effectiveness of food-waste programs. There is no way for them to be held accountable to customers, investors or their own goals. This fundamental first step of corporate transparency — including specific, time-bound commitments to food-waste reduction and public reporting on progress — is virtually nonexistent among U.S. supermarkets. Easing cosmetic standards and purchasing whole and seasonal crops can reduce the massive amount (estimated 20 billion pounds) of edible produce left to rot in the fields. Meanwhile, supply-side commitments to reducing “bycatch” (non-targeted seafood) can take a massive bite out of seafood waste in the supply chain. So can educating consumers about the ecological costs of eating ocean wildlife. Unfortunately, few U.S. supermarkets have implemented these strategies, despite their potential for saving money and reducing food waste. In all of these areas, some major European supermarkets have already demonstrated the feasibility and benefits of these food-waste prevention policies. The new report, “Checked Out: How U.S. Supermarkets Fail to Make the Grade in Reducing Food Waste,” compares American grocery retailers for supply-side and in-store food-waste reduction strategies as well as time-based commitments to food-waste reduction initiatives, tracking and transparency. The report analyzes retailers with the most U.S. stores — Ahold Delhaize, Albertsons, ALDI, Costco, Kroger, Publix, Target, Trader Joes, Walmart and Whole Foods — alongside a case study of Tesco, U.K., a European model that has implemented a number of types of effective food-waste reduction strategies that U.S. stores could mirror. This comparison will help create a benchmark to identify leaders and progress, as well as companies that continue to fall behind as the retail food industry addresses its role in the food-waste crisis. From Checked Out: How U.S. Supermarkets Fail to Make the Grade in Reducing Food Waste, a report from the Center for Biological Diversity and the Ugly Fruit & Veg Campaign.